This badge is used to control the onebeartoe sports scoreboard. 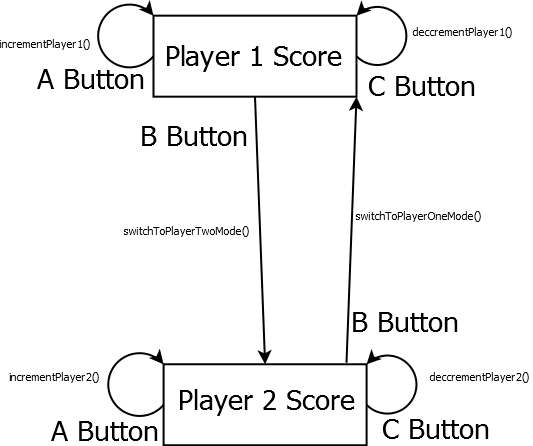 This application currently has two states: Player 1 Score and Player 2 Score. See the source code to configure the Web application's end points for the scoring API. Only the Wifi name/password and IP address of the server need updating. With the code updated to match your network and server information, upload the code to the Adafruit Feather. Use the 'B' button to toggle between modes. The 'A' and 'C' button are the increment and decrement buttons.